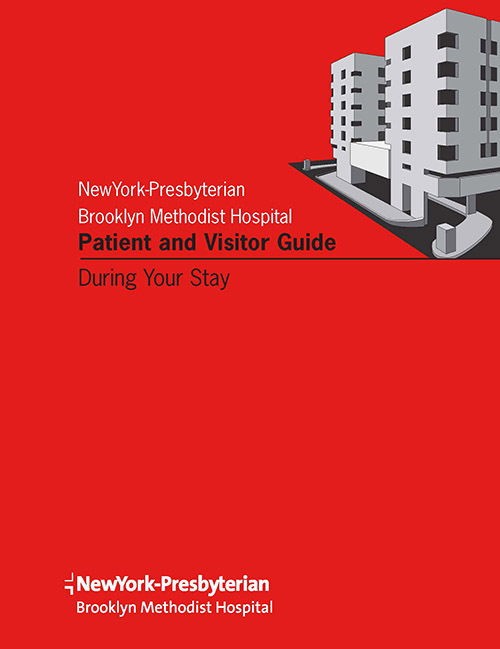 "As a major teaching hospital, NewYork-Presbyterian Brooklyn Methodist is equipped with highly advanced medical equipment and technology. Our staff of physicians, nurses, medical technologists, and other dedicated employees stand behind the excellent reputation NewYork-Presbyterian Brooklyn Methodist has earned in our community. This information guide has been prepared to acquaint you with the services we have to assist you during your stay with us . . . "